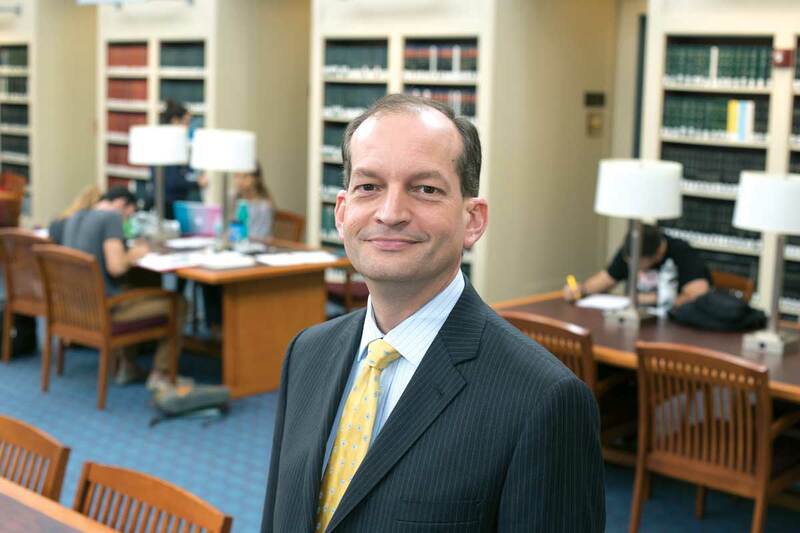 The U.S. Senate Committee on Health, Education, Labor and Pensions has scheduled a hearing for the nomination of FIU Law Dean R. Alexander Acosta to serve as Secretary of Labor on March 22 at 9 a.m.
Dean Acosta has been confirmed three times by the United States Senate to high federal office, each time unanimously. If confirmed, Acosta would be the first Hispanic member to join President Donald J. Trump’s executive cabinet. “Alex is going to be a key part of achieving our goal of revitalizing the American economy, manufacturing and labor force,” said President Trump. The confirmation hearing will be streamed live on Wednesday. To watch, click here.